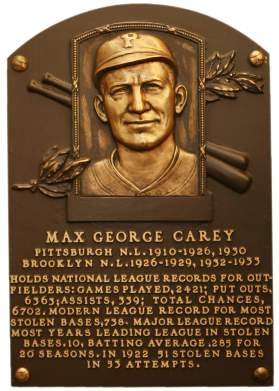 A tremendous defensive center fielder, primarily with Pittsburgh, Max Carey took advantage of his speed and instincts to swipe 738 bases. 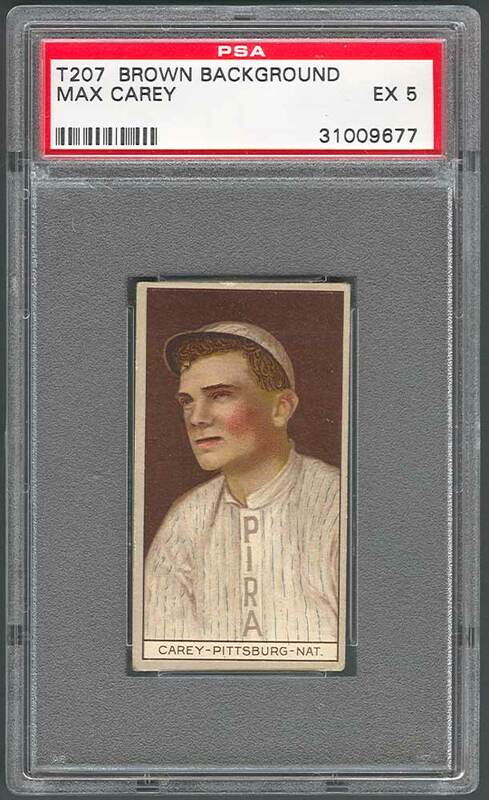 In 1925, despite two broken ribs, "Scoops" batted .458 in the World Series as the Pirates defeated Washington. In game seven, his four hits and three runs scored beat the great Walter Johnson. Carey scored 1,545 runs and had 2,665 base hits in his 20-year career. 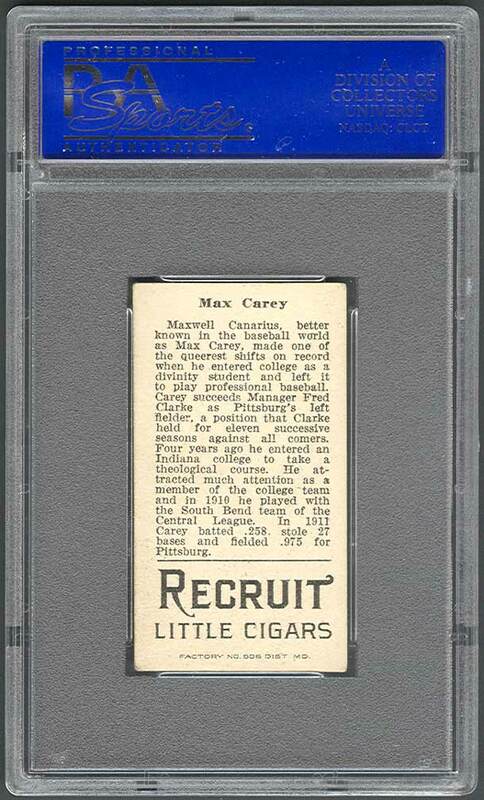 Comments: I started with a tribute card for Carey - a PSA 6 1940 Playball card won via eBay in April, 2003. I upgraded to a PSA 7 in July, 2003. 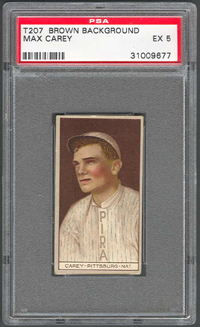 The card was sold on my website so I replaced it with another PSA 7 purchased in March, 2004. 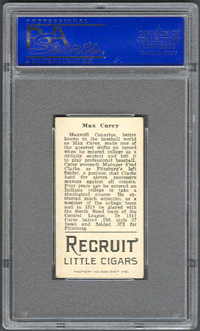 In June, 2005 I purchased a SGC 40 T207, an issue contemporary to Carey's career, via the Net54 B/S/T forum from Patrick McHugh. 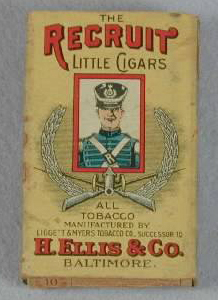 I then purchased a raw example in November, 2005 via eBay which was subsequently graded VG-EX by PSA. Then, I upgraded again, with another eBay win for this PSA 5 from seller 2223 in November, 2006. Since, I've tried winning a few other auctions for nicer copies (three PSA 6s, one PSA 7) but have come up short. 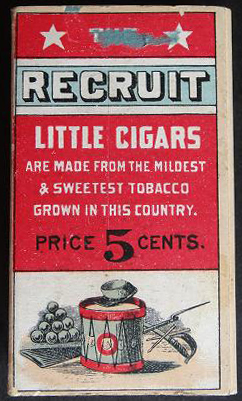 Description: These 1-7/16" X 2-5/8" cards take their name from the background color framing the player drawings. 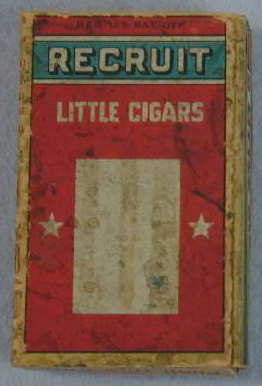 The card backs have the player's full name, a baseball biography and an add for one of several brands of cigarettes. 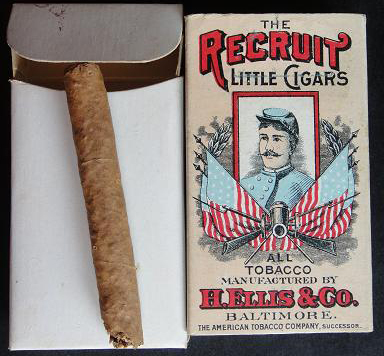 Shown above is a Max Carey issued by Recruit Little Cigars out of Factory No 240, PA.